We’d love your help. 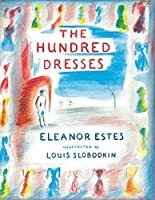 Let us know what’s wrong with this preview of The Hundred Dresses by Eleanor Estes. To ask other readers questions about The Hundred Dresses, please sign up. Do schools have this in their reading lists? The Hundred Dresses is a book about a girl named Wanda Petronski who’s bullied at school because she’s different. Wanda is polish and the other students in class (particularly a girl named Peggy) make fun of her name and harass her outside of school whenever possible. Dresses seem important to the school girls and it’s always an interest when a girl comes to school wearing a new one. 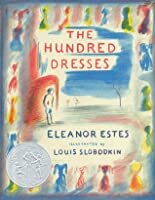 Wanda attempts to fit in (as the girls all admire a student’s new dress) by speaking up and telling the girls she The Hundred Dresses is a book about a girl named Wanda Petronski who’s bullied at school because she’s different. Wanda is polish and the other students in class (particularly a girl named Peggy) make fun of her name and harass her outside of school whenever possible. Dresses seem important to the school girls and it’s always an interest when a girl comes to school wearing a new one. Wanda attempts to fit in (as the girls all admire a student’s new dress) by speaking up and telling the girls she has a hundred dresses at home. The other kids don’t believe her and just make fun of her even more. After all, she shows up to school wearing the same faded blue dress day after day. Not long after, Wanda doesn’t show up to school anymore and everyone wonders where she is. Even though Peggy never thought twice about making fun of Wanda, her friend Maddie felt bad about it. It niggles her every night, especially now that Wanda’s been absent from school for so long. Is she coming back? All Maddie can do now is reflect on the fact that she never had the guts to stand up to Peggy for fear of being the next victim. The day arrives when the school art contest winners will be announced. Everyone is excited when they walk into the room and see at least a hundred different sketches hanging up. They’re speechless and can’t believe the beauty of the art pieces. Who made all of them? The same day, all the children learn what happened to Wanda through a letter from her father. The question is: Will the class ever get to see or speak to Wanda again? This is such a lovely book. Our copy is a paperback from 1973 and in really good shape for it’s age. I believe this was originally written in 1944. It does have some illustrations, but not much color. I purchased this at a garage sale for only ten cents. This book is just one example of why I can’t stay away from book sales! With themes of bullying, racial discrimination, and forgiveness, this is such an important book for children. What I loved most about the book is Wanda’s forgiveness, especially when the students didn’t even ask for it. What I didn’t like, was that it’s unclear whether or not Peggy or the other bullying students truly learned their lesson. I don’t remember reading this when I was in elementary school, but I’m glad to have read it with my kids now. Joe Krakovsky Really nice review, considering the date, Mischenko. I remember the pollock jokes some individuals would throw my way in grade school. S.P. Aruna Great review, Mischenko. Thanks for introducing this book to me! A moving story with an important message and absolutely beautiful illustrations. Wanda is looked down upon at school, she only has one dress and her surname is seen as 'funny' by the rest of the children. She lives in a poor part of town with her dad and her brother. Wanda is bullied and the girls who bully her feel justified in their actions because they believe Wanda is lying and feel that by doing this she is inviting ridicule. The book gives an important message - even though Maddie didn't joi A moving story with an important message and absolutely beautiful illustrations. This was one of my favorite books when I was a kid, but I somehow lost touch with it over the years. I was delighted to find a copy, in its sixtieth printing, no less, on the shelf at my local library. I was stunned to see the book was originally published in 1944 - I had assumed it was written during the sixties when I first read it. It does have a rather timeless appeal, and with all the furor these last few years about bullying, its theme is as relevant as ever. In a school full of children wi This was one of my favorite books when I was a kid, but I somehow lost touch with it over the years. I was delighted to find a copy, in its sixtieth printing, no less, on the shelf at my local library. I was stunned to see the book was originally published in 1944 - I had assumed it was written during the sixties when I first read it. It does have a rather timeless appeal, and with all the furor these last few years about bullying, its theme is as relevant as ever. In a school full of children with last names like Allen, Thomas, or Smith, Wanda Petronski stood out. She sat in the back row of the classroom, with the rough boys who did not make good marks on their report cards. She didn't sit there because she was rough and noisy, but because she lived in Boggins Heights, and her feet were usually caked with dry mud that she picked up coming down the country roads. Poor friendless Wanda came to school alone and went home alone. She always wore a faded blue dress that didn't hang right. It was clean, but it looked as though it had never been ironed properly. This fact may or may not have been enough to get her picked on, but Wanda didn't help matters when she opened her mouth and told the other girls that she had "A hundred dresses. All lined up in my closet." It turns out, she really did have a hundred dresses, but by the time that fact was discovered, Wanda was gone, off to live in the big city where others had names like hers. "No more hollar Polack. No more ask why funny name." her father explained in a note to the teacher, a sentiment that leads the reader to wonder if perhaps Wanda was not the only Petronski family member to be bullied. کتاب «صد دست لباس» داستان دختر نوجوانی به نام «واندا پترونسکی» است که با خانواده لهستانیتبار خود در یکی از شهرهای امریکا زندگی میکند. همکلاسیهای واندا در مدرسه او را مسخره میکنند... .
نویسنده که در واقع خود یکی از همکلاسیهای واندا بوده سعی کرده است با نوشتن این داستان، اشتباه خود را جبران کند. گناه او «بیتفاوتی» نسبت به آزار واندا بود. این داستان در سال ۱۹۴۵ جایزه «نشان نیوبری» را اخذ کرد و در سال ۲۰۰۷ یکی از صد کتاب منتخب معلمان «انجمن آموزش ملی» امریکا گردید. کتاب «صد دست لباس» داستان دختر نوجوانی به نام «واندا پترونسکی» است که با خانواده لهستانی‌تبار خود در یکی از شهرهای امریکا زندگی می‌کند. هم‌کلاسی‌های واندا در مدرسه او را مسخره می‌کنند... .
نویسنده که در واقع خود یکی از هم‌کلاسی‌های واندا بوده سعی کرده است با نوشتن این داستان، اشتباه خود را جبران کند. گناه او «بی‌تفاوتی» نسبت به آزار واندا بود. 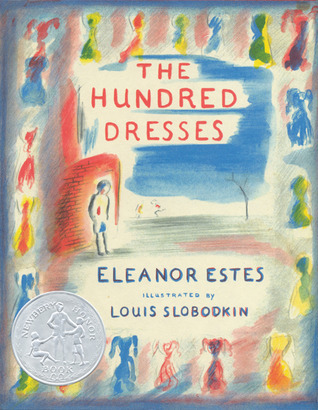 The Hundred Dresses is Eleanor Estes' 1945 Newberry Award Winning classic geared toward middle grade readers. The book is still relevant these 70 years later because it touches on important concepts like bullying, peer pressure, and racial discrimination. In a letter to readers at the beginning of the book, Estes' daughter tells us that the book had been based on events in her mother's own life. 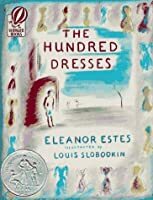 Wanda Petronski is a Polish immigrant who lives in a one room house in the poor section of town with The Hundred Dresses is Eleanor Estes' 1945 Newberry Award Winning classic geared toward middle grade readers. The book is still relevant these 70 years later because it touches on important concepts like bullying, peer pressure, and racial discrimination. 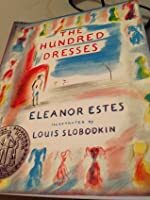 In a letter to readers at the beginning of the book, Estes' daughter tells us that the book had been based on events in her mother's own life. Wanda Petronski is a Polish immigrant who lives in a one room house in the poor section of town with her father and brother. The rest of the children are WASP whose families have seemed to have lived in the town for years. When Wanda shows up one day in her shoddy yet clean blue dress, the class queen Peggy and sidekick Maggie start teasing her. Oh this girl has one hundred different dresses all lined up in her closet, oh really. Peggy is the instigator while Maggie stands quietly by and allows the taunting to occur. Internally, however, Maggie does not condone this behavior because she wears handmedown clothes and does not want to be the next kid taunted should Peggy stop focusing on Wanda. Later the class at school has a drawing contest. 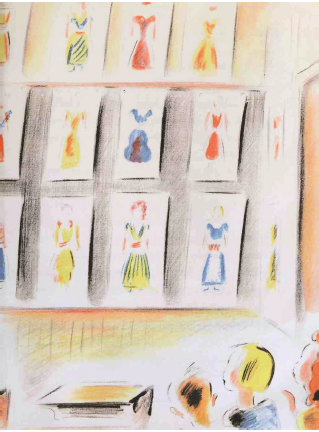 Wanda wins- she has drawn all one hundred dresses and her artwork reveals her inner voice. Immediately the rest of the class feels horrible that they ever teased her in the first place. Yet Wanda's father decided to move to the big city where there were many immigrants so his children would no longer be singled out and ridiculed by their classmates. Peggy and Maggie want to apologize to Wanda, but how, now that she has moved away? This short story written in the early 1940's, has a very timeless message. The illustrations added dimension to the written word. A highly recommended story that speaks powerfully to girls about friendship and forgiveness, with simple, child-like drawings that reflect the understated feel of the tale itself. It is a story that truly enlarges the heart and is sure to be passed around among friends. I just love these books that were written years ago and are still wonderful. The story is really about bullying but I don't think that was even a word in 1944. The story carries a strong message and the artwork is so unique and wonderful. Great way to introduce children to the concept of empathy, and it’s an interesting story too. I first read it in elementary school and it’s really stuck with me. Soon after starting at a new school, Wanda becomes the focus of a daily taunting by the other girls. Wanda wears the same—albeit clean and pressed—blue dress to school every day and, on top of that, the kids think that she has a strange last name: “Petronski.” On the way to school one day, Wanda feels less shy than normal and whispers to Peggy, the prettiest and most popular girl in class, that she has one hundred dresses at home in her closet. Clearly, she’s not telling the truth, but Peggy doe Soon after starting at a new school, Wanda becomes the focus of a daily taunting by the other girls. Wanda wears the same—albeit clean and pressed—blue dress to school every day and, on top of that, the kids think that she has a strange last name: “Petronski.” On the way to school one day, Wanda feels less shy than normal and whispers to Peggy, the prettiest and most popular girl in class, that she has one hundred dresses at home in her closet. Clearly, she’s not telling the truth, but Peggy doesn’t let the subject drop; instead, she asks Wanda every single day thereafter how many dresses she has…and Wanda always answers the same way. Following her answer, the girls laugh and then ignore her. Peggy’s best friend Maddie doesn’t like how the girls follow Peggy’s lead and make fun of Wanda. Maddie knows that she should say something to Peggy about stopping the teasing, but Maddie is afraid that Peggy will start making fun of her instead! When Wanda and her family suddenly move away, Maddie feels awful that she never had a chance to apologize to her and must deal with her feelings of guilt and shame over her behavior. This is a quick read that will leave the reader thinking long after the story ends. It takes place in the 1940s, although there is no mention of the war. For readers seeking a sweet story about friendship and acceptance, recommend this. The 100 Dresses is a story about about hope and perseverance even when one's life situation gets difficult. 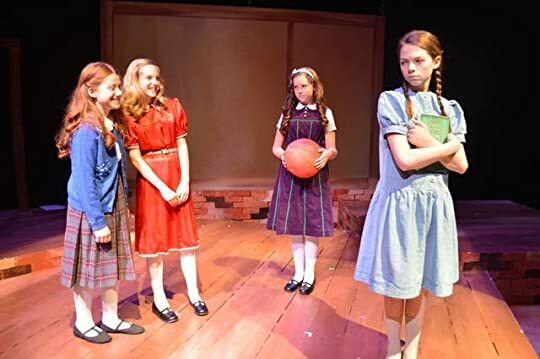 Peggy and Maddie, two girls from the novel are the first to notice Wanda Petronski’s, the main character's absence because she’d made them late for school. They’d been waiting for her on their walk to “have fun with her.” They didn’t realize she’d already been absent for two days. Wanda lived with her father and her brother Jake in Boggins Heights. As poor, Polish immigrants, the family was The 100 Dresses is a story about about hope and perseverance even when one's life situation gets difficult. Peggy and Maddie, two girls from the novel are the first to notice Wanda Petronski’s, the main character's absence because she’d made them late for school. They’d been waiting for her on their walk to “have fun with her.” They didn’t realize she’d already been absent for two days. Wanda lived with her father and her brother Jake in Boggins Heights. As poor, Polish immigrants, the family was often teased for their “funny” name and obvious lack of means. Mostly, Wanda kept to herself. Mostly, the girls in class didn’t notice her: they noticed her outside of class, on the way to school, and in the yard during recess. All the girls talked to her, or at her, but Wanda didn’t have any friends.. Besides being a story about the timeless topics of acceptance and kindness, it’s one that nearly everyone can relate to. Yah, bullying ternyata tak mengenal waktu dan masa. Tentang Wanda yang selalu dicemooh teman temannya karena Wanda mengaku memiliki seratus dress, tapi temannya ngga ada satupun yang percaya. Lha tiap ke sekolah, bajunya Wanda itu itu mulu. Mana seratus buah yang ia ceritakan? Sampai kemudian Wanda ngga masuk sekolah selama berhari hari, dan guru kelas mereka memberitahu bahwa Wanda dan keluarganya telah pindah. Buku ini diceritakan dari sudut pandang Maggie, teman sekolah yang juga pernah membull Yah, bullying ternyata tak mengenal waktu dan masa. Tentang Wanda yang selalu dicemooh teman temannya karena Wanda mengaku memiliki seratus dress, tapi temannya ngga ada satupun yang percaya. Lha tiap ke sekolah, bajunya Wanda itu itu mulu. Mana seratus buah yang ia ceritakan? Buku ini diceritakan dari sudut pandang Maggie, teman sekolah yang juga pernah membully Wanda tapi ia terus dihantui rasa bersalah dalam dirinya. This book still brings tears to my eyes, I don't care how old you are, everyone needs to read this! The message is so important and powerful. Such a good book! Well worth the short time it takes to read. It has important life lessons. Everyone should read it. This book makes me a little emotional about my childhood because it's a book that I loved during childhood. It's both a sad and beautiful book. The story is about a little girl who doesn't really have any friends and who wears the same blue dress to school every day. One day she boasts that she has 100 dresses at home which turns into something that all the kids josh with her about daily. She ends up leaving school because of being ridiculed. This ends up causing a change of heart in some of her This book makes me a little emotional about my childhood because it's a book that I loved during childhood. It's both a sad and beautiful book. The story is about a little girl who doesn't really have any friends and who wears the same blue dress to school every day. One day she boasts that she has 100 dresses at home which turns into something that all the kids josh with her about daily. She ends up leaving school because of being ridiculed. This ends up causing a change of heart in some of her classmates. Now I have to wonder whether reading it as a child shaped me or if I liked it because I could relate to it. I do remember wishing every girl in my class would read this book and take it to heart. I was both the girl who was the odd-person-out as well as the girl who befriended the class outcasts. Honestly, I think this book should be required reading for every child. And I think it should be not only read but discussed. It's important. And even though it was originally written in 1944, the emotions of children are still the same today. I read this while doing a service project about collecting dresses. It is a fun accompaniment for that purpose because the story dovetails nicely with how we should treat others. The illustrations are incredible with a timeless feel that hearken back to a time where compassion and understanding were more prevalent in our society. Loved the concept and how refreshing Maddie was, that even after she pondered what she had done and practiced to act differently in the future. So often in modern stori I read this while doing a service project about collecting dresses. It is a fun accompaniment for that purpose because the story dovetails nicely with how we should treat others. The illustrations are incredible with a timeless feel that hearken back to a time where compassion and understanding were more prevalent in our society. Loved the concept and how refreshing Maddie was, that even after she pondered what she had done and practiced to act differently in the future. So often in modern stories they center on the wrong way of being and the character just becoming aware of their wrong actions is the sum total of the story. In this one we got to see good and even better! Alice and I read this over a few evenings. I really like the character Maddie and how she explored here feelings in regards to Wanda Petronski getting bullied. I do wish there'd been a little bit more information about Wanda. This was still a good book to read together. A little dated, but the story is still relevant. I remember being 9 and having a very sad day (most likely feeling mopey for no good reason lol) and I read this book in one sitting and just cried it all out. I think that's why it's stuck in my head for such a long time--it was one of the first purely cathartic reading experiences for me. This wonderful book shows that those who stand by while someone is being bullied need to speak up. Maddie learns this lesson in a bittersweet way. A sweet story, just as relevant now as ever, about kindness toward people who are different than you, and being brave enough to stand up, even to your friends, when a behavior pricks your conscience. This shorter chapter book would be a great read aloud. Great lesson: staying silent as a bystander to bullying is just as harmful as saying the mean words out loud. This book is very cute. I love the illustrations. This 1945 Newbery honor publication packs a powerful message in a mere 81 pages. Perfectly written and illustrated, there was no need for the author to continue; she was able to send a clear, strong, effective message without exaggerated hyperbole. Written in 1944, as Europe was reeling from the awful horror of mans inhumanity to man, Eleanor Estes wrote a heart-wrenching book of the evil pursuit and bullying of a small, poor, Polish American immigrant child. Motherless, quiet, shy Wanda Petronski This 1945 Newbery honor publication packs a powerful message in a mere 81 pages. Perfectly written and illustrated, there was no need for the author to continue; she was able to send a clear, strong, effective message without exaggerated hyperbole. Motherless, quiet, shy Wanda Petronski lived with her father and brother in a shabby, but clean shack on the wrong side of the tracks of small town USA. Wanda's foreign sounding, unfamiliar name and the fact that she wears the same blue dress to school each day made her the brunt of cruelty from nasty, insensitive classmates. In particular two girls, Peggy who has lots and Maddie who has little, are the most cruel. Despite Maddie's unspoken concerns that as a child of poverty she too could be a recipient of insensitive remarks, still, because Peggy is popular and her friend, she participates in the unrelenting taunting. When Wanda claims that she has 100 dresses in her closet, the girls needle even more. 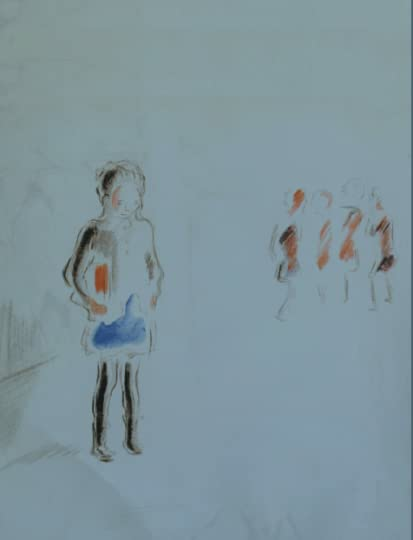 Wanda fails to appear at school on the day she wins the coveted Room 13 art award, and, as her classmates watch their teacher posts beautiful drawings of 100 perfect dresses. Too late to apologize, Maddie realizes that Wanda's father moved the family to a friendlier place. Maddie's participation in the nastiness and her silence in support of Wanda is something that haunts her. Summary: This chapter book tells of a fictional story that was based on a real life childhood experience of the author. This story is narrated from a third person limited view point. It tells of how a young Polish girl was taunted by two other girls because she claimed to have 100 dresses even though she wore the exact same shabby blue one every day. When the girl is suddenly gone, the girls become sympathetic and ashamed of their behavior, but there is a stark contrast in how they deal with the Summary: This chapter book tells of a fictional story that was based on a real life childhood experience of the author. This story is narrated from a third person limited view point. 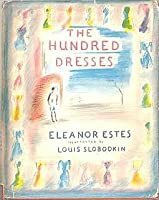 It tells of how a young Polish girl was taunted by two other girls because she claimed to have 100 dresses even though she wore the exact same shabby blue one every day. When the girl is suddenly gone, the girls become sympathetic and ashamed of their behavior, but there is a stark contrast in how they deal with the guilt. The illustrations resemble colored pencil and charcoal drawing. They are simple, but seem to compliment the text. Uses: Read aloud for earlier elementary grades for enjoyment of literature and to stimulate discussion of irony, plot, theme, and social and moral issues like bullying, prejudice, acceptance, and peer-pressure. Good for late early to early transitional readers for guided or shared reading. Also a good example of how fiction can be used for moral lesson teaching. Eleanor Ruth Rosenfeld (Estes)was an American children's author. She was born in West Haven, Connecticut as Eleanor Ruth Rosenfield. Originally a librarian, Estes' writing career began following a case of tuberculosis. Bedridden while recovering, Estes began writing down some of her childhood memories, which would later turn into full-length children's books. Estes's book Ginger Pye (1951) won the Eleanor Ruth Rosenfeld (Estes)was an American children's author. She was born in West Haven, Connecticut as Eleanor Ruth Rosenfield. Originally a librarian, Estes' writing career began following a case of tuberculosis. Bedridden while recovering, Estes began writing down some of her childhood memories, which would later turn into full-length children's books. Estes's book Ginger Pye (1951) won the Newbery Medal, and three of her other books (The Middle Moffat, Rufus M., and The Hundred Dresses) were chosen as Newbery Honor books. She also received the Certificate of Award for Outstanding Contribution to Children’s Literature and was nominated for the Laura Ingalls Wilder Award. By the time of her death at age 82, Estes had written 19 children's books and one novel for adults.